Where do I begin… Glass Tiger finally are on their 31st anniversary tour. I know it should have been their 30th but a while back lead singer Alan Frew had a stroke and pushed things back a little bit. Mr Frew went and did a short solo tour to re-engage himself with his stage presence. He even had Nellie Frutado join him for a couple of songs. He pointed out that his Glass Tiger members were in the audience and they were planning on getting back together. Well that is exactly what they did. They reinvented some of their classic songs on their new CD called 31. Another Scotsman Johnny Reid helped with the process and another great Canadian Cd was born. I am not here to gush about this recording, but it does have a humbleness that you may enjoy. 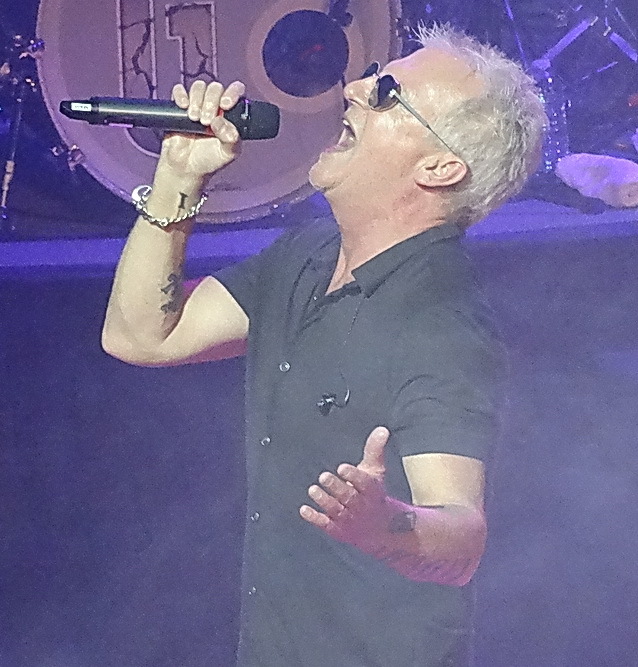 Well Glass Tiger hit the stage of Massey hall and reinvented themselves again. The first half of the show was more of an acoustic set, but had a native energy to it. Their opening song, “My Town” and then, “My song” put everyone in a great mood. They even threw in a Johnny Reid song, “Fire it up”. Glass Tiger began to create even more live magic by bringing on Irish dancers and then they do a Paul McCartney cover, “Mull of Kintyre”. That was my grandmother’s favourite song. They continued with, “Someday”, which filled the entire audience’s heart. Soon after that, a native Candian came out in full regalia and began to dance as they went into the great song, “Diamond Sun”, but it only got better when the beautiful Susan Aglukark joined them on stage to help with the song. I do believe Canada is making a huge effort to help our indigenous people. I am beginning to see the shift. This was only the first half of the show. The second half they became electric again and started with, “Animal Heart”. They continued with other fantastic classics like, “I’m still searching”, “Watching world’s crumble”, “I will be there” and, “Thin red line”. By the way, I just wanted to mention that Toronto was in a great mood and showed Glass Tiger a great time. I think we missed this Newmarket band for a long time. They really put on a fabulous encore by doing true justice to David Bowie’s song, “Heroes” and wrapping the evening up with their biggest hit, “Don’t forget me when I’m gone”. We had a lot of happy dancers in the audience and plenty of more clappers sharing their love for this band. This was one of the last show’s Massey Hall will have for the next 2 year as they will undergo a major renovation. I will be lonely for awhile, but can’t wait to see another band when they reopen.